You may have heard many things indicating that computer coding is a great idea if you’re looking for a career change. The technology industry is booming right now and shows no signs of stopping in the foreseeable future. But, you most likely have questions about what coding is and how to find online computer coding courses. This article will answer those questions and many more. Computer coding opens up worlds of possibilities to you. It enables you to do things that you couldn’t before, such as creating your own websites from scratch, getting a career in coding or becoming a technological business mogul. Lots of people are of the belief that everyone needs to learn some degree of coding. This is because even if you don’t do anything else with it, learning computer coding can give you a better understanding of the technology around you and how it works. And, with as many types of technology as there are in our worlds today, how fast they’re advancing and how ever-changing they are, understanding technology and how it works is crucial. One of the easiest things to learn to do with coding is to make websites. Websites are extremely useful right now, both to businesses and to the average individual. If you’re a business owner with no “web presence”, you’re missing out on a ton of customers. If you’re looking for jobs or a better career and you don’t have a web page that showcases your skills, clients and potential employers may never find you. Your own blog can even benefit from being published on the web so that potential viewers can find it. If you’re making a website without using coding, whatever you make will be extremely limited. It will most likely be template-based, and not be very customizable. But, by learning the languages of websites, HTML and CSS, you are provided with more options. You can make moving graphics, change backgrounds, have a greater number of text colors to choose from, add music and much more. By learning to both code and make websites, you open yourself up to more career paths. For instance, in this scenario, you could be a career coder or a web designer. Because businesses, groups and business-minded individuals need quality websites that set them apart from the crowd, web designers can find work pretty easily. The supply of computer coders is far lower than the demand for them right now. This isn’t just true of the United States, but rather there is a high demand for coders globally. Because of this, wages are quite competitive in this career track, with Google and Facebook paying coders salaries that are $125K/year or more. 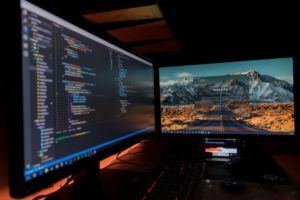 The Bureau of Labor Statistics doesn’t differentiate between a coder and a programmer, and they list the median salary for a programmer in 2017 as $82,240 a year, or $39.54 an hour. The lowest 10th percentile made $47,090, which is still impressive. Not only that, but they list that programmers work on a full-time basis. So, if working full-time and making that much money is appealing to you, that’s another excellent reason to learn to code and consider online computer coding courses. What is Computer Coding and What Does it Do? If you ask someone what coding does, you’ll most likely get an answer something to the effect of “It tells the computer what to do.” But, it’s a lot more complex than this simple explanation implies. Any computer is mostly made up of a massive collection of transistors. The transistors only have two functions- “off” and “on”- which the computer “reads”. Because of this 2-function system in the transistors, the main language of computers is called Binary Code. It consists of a complex string of 1’s and 0’s that are set in groups of 8 to indicate 8 different transistors and the functions you wish them to perform, all at once. But there’s one flaw with Binary Code: writing binary requires a computer program. Without a computer doing the work, a coder would never leave his seat to eat, use the facilities, or even sleep. He would simply sit and write a never-ending string of 1’s and 0’s. This is where computer coding languages come in. What languages do is provide us with a way to easily write and read code, and then the program turns the code into binary. It works as a real-time translator of sorts, so that we can input something that’s easy for us to understand, then converts it into something that’s easy for the computer to read and understand. We now have a variety of different programming languages because they’re all designed differently and they perform different tasks. Low-level programming languages are primitive and look pretty close to binary. 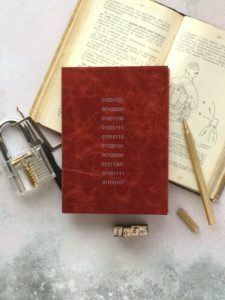 High-level languages are a lot easier to distinguish from binary because they look closer to something we would read or say, and they’re therefore easier to write. Most of the frequently used languages today fall into the high-level category. In case you’re wondering what sort wizardry it takes to write a program using code, which seems like a daunting task to anyone inexperienced with coding, it’s a lot more simple than you would think. All it consists of is opening a text document, like Notepad, and writing text in it in a coding language, then saving it. And that’s it. How a computer actually goes about running the program commands depends on the language it was written in. Some languages use software to run the programs, while others just save a binary file that’s separate from the program file. If this still seems overwhelmingly complex to you, don’t worry. The languages used to code are meant to make coding easier. There’s a bit of a stigma about coders. There’s not actually a lot of difference between a coder and a programmer, but however subtle, there is a difference. A coder writes code. 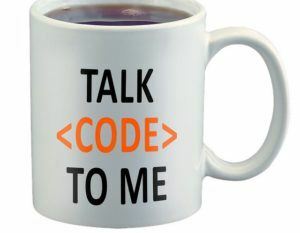 Programmers can write code, as well as perform many other tasks that include being able to understand computer algorithms and the structure of computer data. Because of this, coders sometimes get made fun of for “only writing code,” which is actually a feat on its own. Programmers build programs from scratch. But, what do they use to build the programs? They use code that coders wrote. 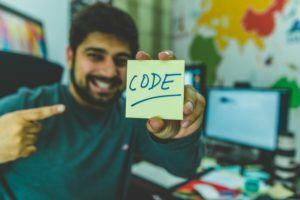 As a matter of fact, you may have noticed that when you Google questions about online coding courses, you’ll have to wade through lots of hits that use the word “programming” interchangeably. This isn’t to say that the role of a programmer should be diminished, only that the role of a coder shouldn’t be diminished, either. So, don’t let this stigma keep you from making decisions about learning how to code. When looking for online computer coding courses, you really need look no further than www.edureka.com. They provide plenty of coding courses online for reasonable prices. You can get discounts on the courses if you sign up early (Up to 10% off!) And, a lot of them can be completed in under 2 months. 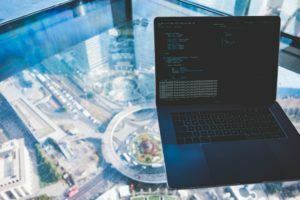 They have courses available in several of the most popular program languages, as well, providing you with the skills you need to get started with a career in coding. The Python course covers the language, but also teaches you data science, statistics, and machine learning. Not only that, they provide you with information to help with your job search after your certification, like which companies use Python, and how it can be applied. It can be completed in 7 weeks, too, which is very convenient. There’s a Blockchain course that teaches you how to use and set up your own cryptocurrency system. It covers the major cryptocurrencies that are being used today, such as Bitcoin. You’ll also learn how to set up smart contracts, either from the web or a console. This means that you can do computer coding from a video game console, which is pretty interesting. With Edureka, you can attend your classes any place, any time. There’s an app for both IOS and Android phones that makes mobile learning a breeze. You’re very likely to complete your courses through Edureka, as well. Not only is their coursework designed to be both interesting and engaging, there are people and features in place to ensure that you complete the course. And, one of the biggest perks is that you’ll get lifetime access to the courses, so the information is never outdated. When technology advances or information becomes available, the course updates, and you can read up on it for free. 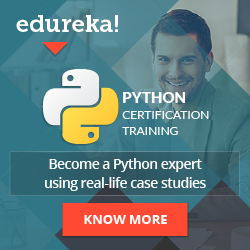 So, it’s pretty safe to say that Edureka provides you with the tools you need for a lifelong career in coding, which is what you should be looking for in online computer coding courses.